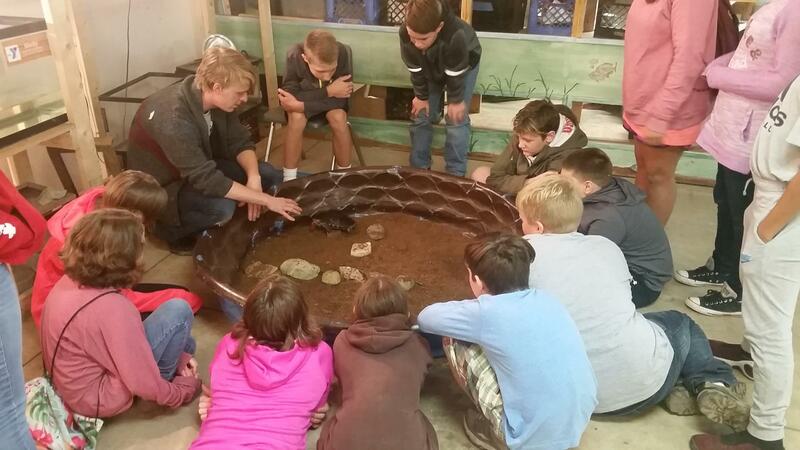 South Vienna sixth graders enjoyed team building and science-based activities during a trip to Camp Wilson in Bellefontaine Oct. 3-5. While at Camp Wilson, students bonded while rock climbing and creating survival shelters together and explored science through activities like evaluating water quality and introductory lessons on geology, astronomy and reptiles. Many students would tell you that their favorite part of the trip was the campfire with skits and s’mores! Thank you to our 6th grade Jets for a fantastic trip and to our families for their support for this fun educational adventure for our students!